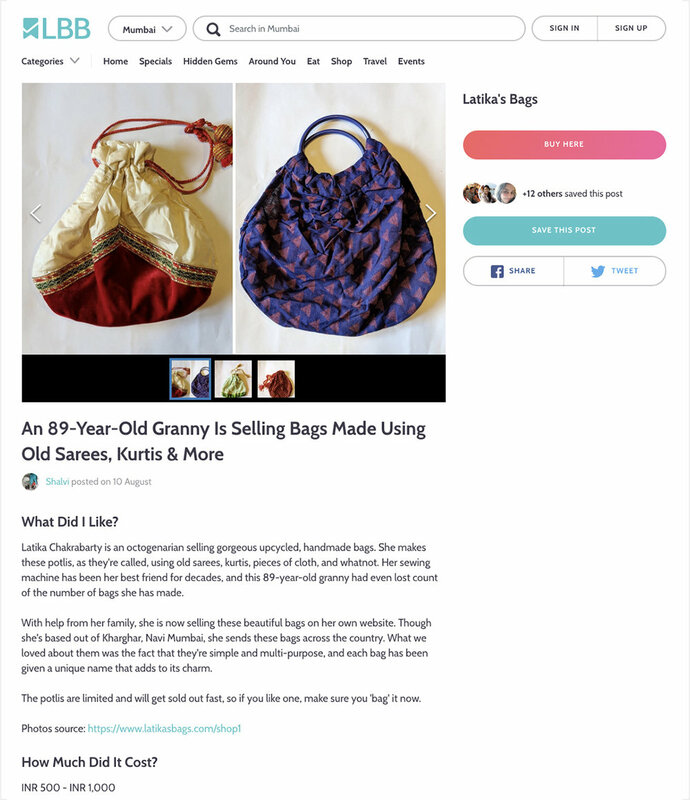 We're overjoyed with the responses and the feedback we have received online and all the press that latikasbags.com has received in the past few weeks. We have archived the clippings here. News 247 Article | 10 August 2018 "There's no age limit to fulfil your dreams, 89-year old lady starts an online shop. The Better India | 07 August 2018 | "89-year old lady starts an online business by giving old saris a new look"
SocialPost | 04 August 2018 | "An 89 year old lady who is a shining example of how age has no implication on strong will. 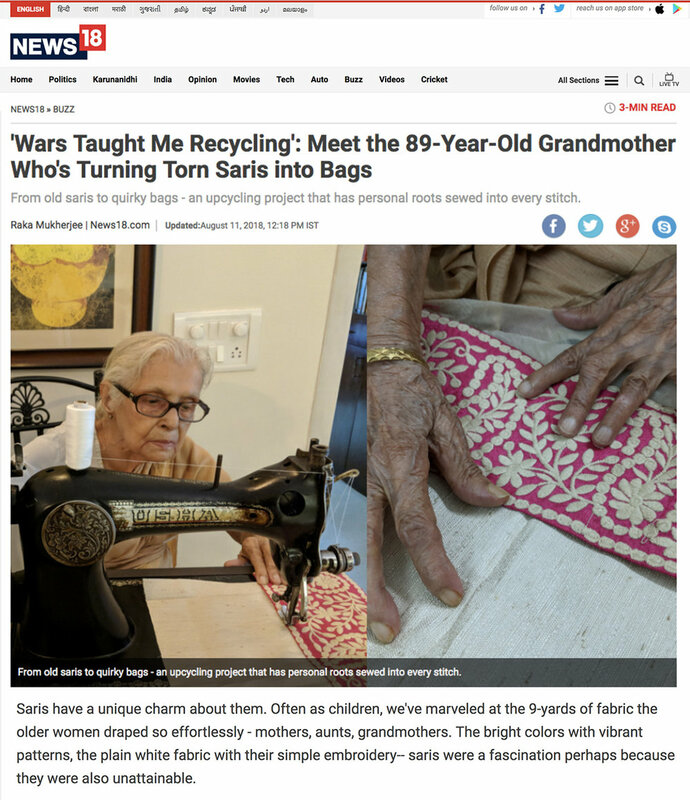 Scoopwhoop Hindi | 02 August 2018 | "89 year old granny starts an online shop to sell her handbags made from upcycled saris"